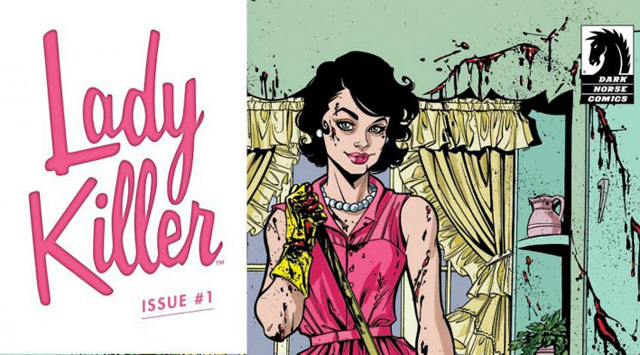 LADY KILLER #1 Review | Warped Factor - Words in the Key of Geek. Gail Williams finds the perfect solution to those problem stains! 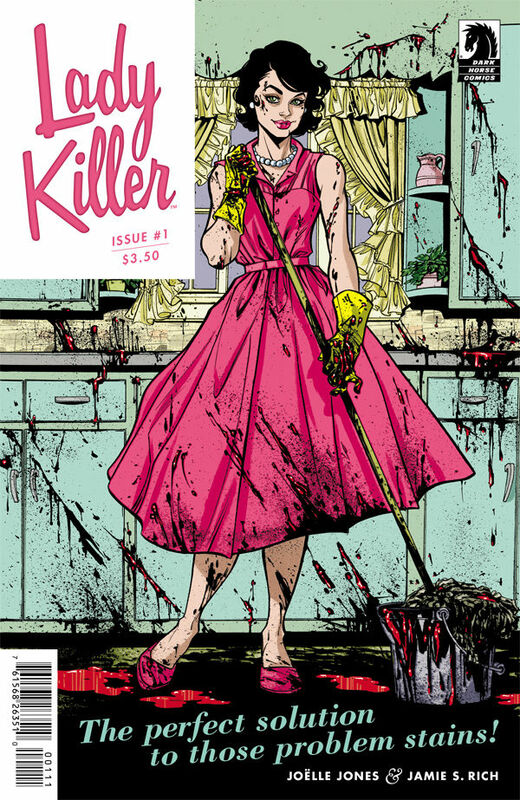 Lady Killer is an original comedy series from Dark Horse comics that combines the wholesome imagery of early 1960s domestic bliss with a tightening web of murder, paranoia, and cold-blooded survival. After all, what could possibly be more innocent than a tupperware party? Well, Mrs Schuller is doing her level best to get the sales, but the crowd is more interested in bitching about the nephew who’ll have to work for his inheritance and the way other women live. When they pack up, with not a single order placed, Jan and Mona want their hostess gift regardless, and Mrs Schuller sure has something for them. A hammer to the head. Courtesy of the hard done by nephew. Of course there’s now an obvious use for all those lovely little air tight boxes. Everything at home looks hunky-dory. Josie Schuller is a picture-perfect homemaker, wife, and mother. Mr Schuller loves his wife and their beautiful twin girls. Everything thing in the garden looks rosy, but why wouldn’t it? 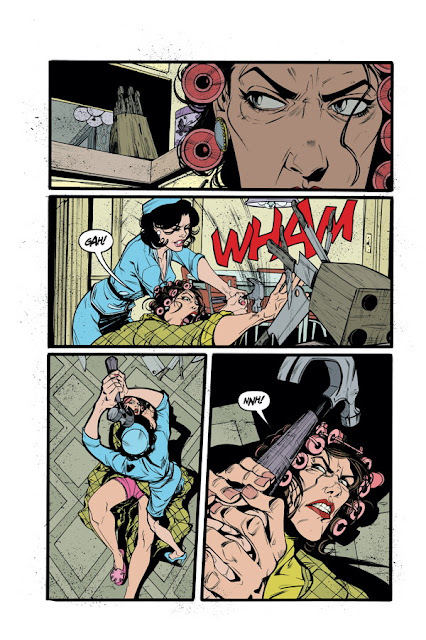 Oh, Josie's also a ruthless, efficient killer for hire! I liked the look of this comic from the first glance at the cover. The look and feel of the early 1960s has been beautifully captured, the flavour of the drawn women’s magazine covers of the era. Though those might have stopped short of the blooded hammer and the bodies in the background. Not entirely convinced, I decided to give the Issue #1 a chance all the same and that turned out to be a good choice. The writing of the comic is good, with an interesting set up and an intriguing cliff hanger. I’m going to stick with Lady Killer for a few issues at least, it has something that keeps me interested even if I haven’t found that special element that makes it a must have. A good four out out five for this one.